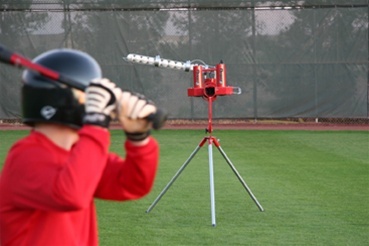 Deuce Two Wheel Fast Ball & Curve Ball Baseball Pitching Machine with Bonus AutoFeeder + 36 Ft. Portable Baseball Cage. 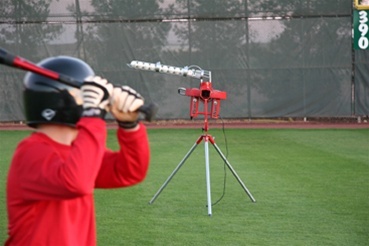 Heater Deuce Pitching Machine is 2 wheel fastball and breaking ball machine. With it's Innovative Pivot-Head design, you'll be hitting outside breaking balls,inside breaking balls and fastballs. Xtender 36 Home Batting Cage measures 36'X 12'x 12' and makes it possible to hit live pitches at home. The Deuce and Xtender 36 connect together with the built-in connection harness. This allows baseballs into the cage, but they won’t fly out. First, the frame's side supports are made of steel tubing to give the frame durability and maximum swinging area for the batter. 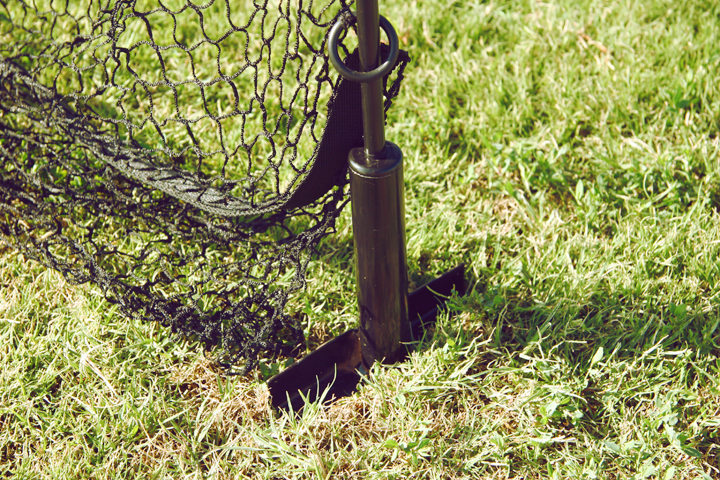 Fifth, the extra strength catch net is made of 3/4" netting compared to 2" netting used on other cages. This smaller netting provides twice as much strength in the same amount of space. In fact, this netting is so small it doubles as a golf cage. Imagine what a great golfer you'll be when your hitting hundreds of golf balls into your cage on a daily basis. And because you can connect Xtender cages together, you can increase the length of your cage just by ordering another Xtender Cage. Don't let another day go by without owning your own batting cage. Although the cage is different in the web pictures in some details than the one shipped, it is as advertised. There are no exposed fiberglass rods, everything is surrounded in foam padding. The cage net does not hang inside the rods, it is placed over the top of the supports. You must have two people to place the netting over the cage supports, and two 10' ladders. I put in a 60' cage ( 2 x 30) and it takes time to cut and splice weave the two nets together. I ran a team of 13 yr old Juniors through batting practice and the Heater Deuce performed fantastic. Don't use leather balls. Go buy dimpled plastic balls, they work much better. This Deuce trows a wicked curve ball. I was hitting at 75 mph with a cutting curve and it was exact strikes from 60'. The net harness to the Deuce is a fantastic feature. At price point you can't beat this combo....Thanks PMP!